Welcome! My first ever Day in the Life Post. I've always meant to do one of these, but never did it for some reason. I always love reading other people's DITL, so why not?! 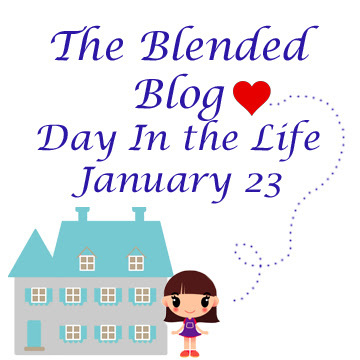 The ladies at The Blended Blog and I decided that we wanted to do a DITL, but thought it would be fun if we all documented the same day, seeing what everyone else was doing on the same day. 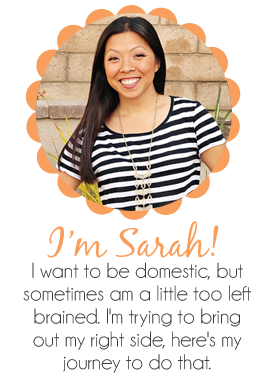 After you read mine, follow along the hop and see what everyone else was up to. 8:12am: Baby Fox goes back to his room, no time to get up yet. 8:42am: I get up, use restroom and brush teeth. He's ready for the day! Mini Fox requested "I want eggs and cheese on top of toast, peeeaazz"
Baby Fox requested "I want oatmeal with toast in strips please" And I added part of a left over apple pancake from earlier in the week. 10:10am: Get the kids ready for the day. Baby Fox likes to pick out his own clothes. Mini Fox wants her hair like Elsa...who am I to say no? 11:40am: I drop off the kids and Mr. at home and get to go on errands by myself! The original plan was I take Mini Fox and Mr. goes back with Baby Fox to watch Star Wars. Mini Fox objected to that plan and wanted to stay with the boys. Mr. took some pictures for me so I could include what they did while I was away...so cute. So excited, errands by myself, totally unexpected!!!! First stop was Walmart, which I bought the juice boxes, but forgot to take a picture. Next stop was Hobby Lobby, I was looking for some baskets to replace the ones we have in our family room and maybe find some Valentine's Day inspiration. I found neither. 2:00pm: Spa day with a friend! It was so nice to catch up with her and relax for a bit. 3:30pm: Leave spa to go pick up Baby Fox for his first sleep over! 3:50pm: Pick up Baby Fox and Mr. and head over to friends house to spend the night. Seriously he jumps out of the car and yells, by while waving backwards...like we weren't going to walk him in..silly kid. 4:15pm: We're FREEEEE!!!! We head back to the house to get ready for our date! 6:50pm: We are at a local brewery place. They put these blankets up when people are moving in or out of the complex my parents live in. 8:45pm: Sit down to watch a movie with Mr. - We watched Room, I read the book and it was very true to the book. I liked it, perhaps too serious for a date night, but whatever, Mr. said I could pick what I wanted. And that my friends is my day on January 23rd! 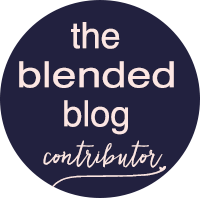 It was super fun to participate in this blog hop with the other Blended Blog ladies, I can't wait to see what they were doing on the same day as me. Now go hop into Nicole's day and she what she did.